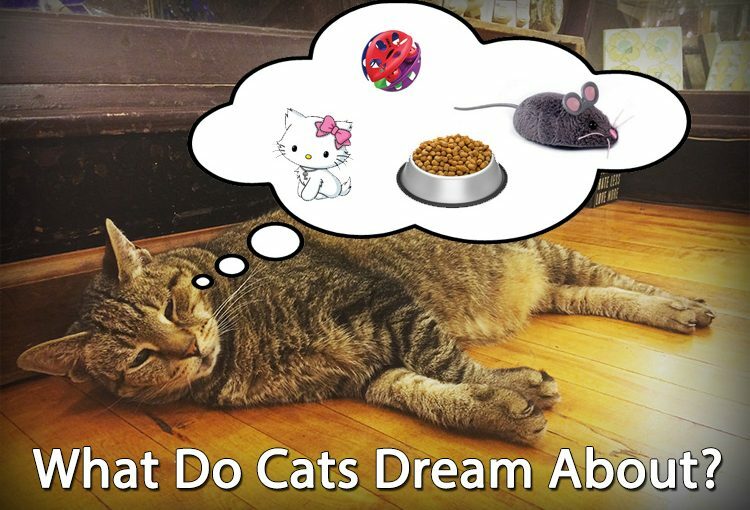 →What Do Cats Dream About? Cats love to sleep. It’s a well-established fact. No matter how much they’ve slept, they always seem to want more. 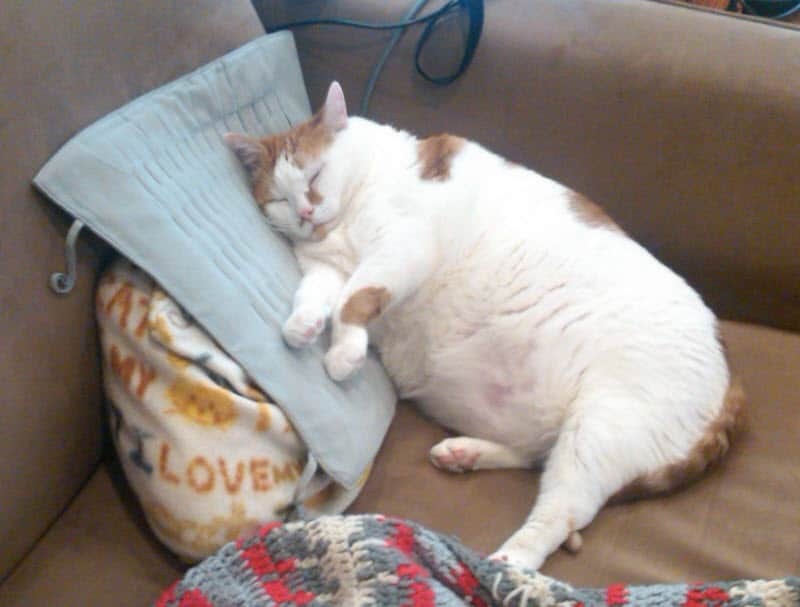 Cats are so famous for their sleeping habits we’ve even named certain naps after them. According to research, cats sleep between 16 and 18 hours a day which means your pet is asleep for over two-thirds of its life. YouTube is filled with videos of cats “running”, shaking or scratching in their sleep. Many have suggested that this shows they are dreaming about doing those things in real life. But does science agree? If you’ve ever watched your cat sleeping- let’s be honest, most of us have- then you’ve probably wondered if they’re dreaming. If they are dreaming, then what are they dreaming about? We’re here to answer these important questions once and for all. Does My Cat Have the Same Dreams As Me? We thought we’d never have an answer to this one unless we learned to communicate with cats (and surely one day we will). However, scientists have come up with some pretty solid evidence to suggest that cats do in fact dream. Of course, we still can’t be sure, but we can look at the research and make a judgement. Humans and cats have very similar sleeping patterns- from light sleep, to deep sleep. They also experience cycles of sleep; when a cycle ends they either wake up or start a new cycle. These cycles differ in length- cat sleep cycles last around 22 minutes, whereas human cycles last approximately 90 minutes. Like humans, cats experience Rapid Eye Movement (REM) as they sleep. The REM stage of sleep is where most dreaming takes place, although some fragmented dreaming occurs in the non-REM stage as well. If humans experience. It seems fair to assume that if REM = dreams in humans then REM = dreams in cats as well! Their lives. Just like us. Matthew Wilson of MIT’s Center for Learning and Memory studied cats’ brains as they slept and concluded that they are able to retain and recall long sequences of events as they sleep. Their brains follow the same series of sleeping states as our brains. “No one knew for certain that animals dreamed the way we do, which can involve replaying events or at least components of events that occurred while we were awake,” says Wilson. “We[now] know that they are in fact dreaming and their dreams are connected to actual experiences.” Actual experiences, such as chasing spiders or playing with cardboard boxes or climbing fences. Essentially, what this means is your cat is probably dreaming about what she got up to today, the same way you do when something is on your mind. Cats dream about their everyday lives- playing, stalking prey, running away from the dog next door etc. Next time you watch your cat sleeping peacefully, try to imagine what they might be dreaming of. We have to be careful not to imagine cats dream exactly the way humans do. We doubt your cat spends too much time dreaming about what Steve from accounts will make of your expenses, or having nightmares about that Tinder date. Whilst cats might dream about experiences, there is no evidence that they can fantasize, worry or recall the distant past. 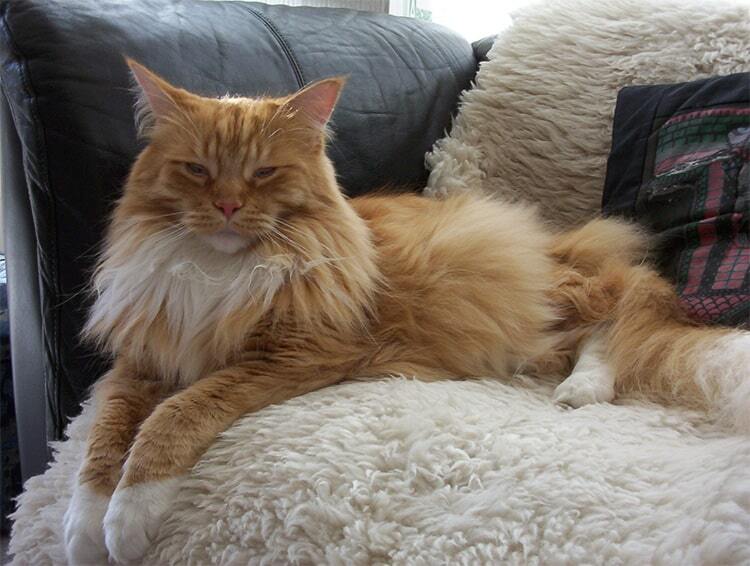 Moreover, whereas we may have very visual dreams, almost like watching a movie, cats have less visual sense. This decreased vision is compensated for by a stronger sense of smell. Perhaps this means that cats don’t see their dreams, they smell them. There seems to be a lot of evidence that cats do in fact dream when they sleep. Not only do they dream, but they dream about experiences they have had in their lives. It’s mind-blowing to think, but your cat has probably even dreamed about you! Having said that, cat dreams are very different to human dreams. It’s unlikely that cats wake up and analyze what their dreams might have meant and there doesn’t seem to be evidence to suggest cats have more abstract, metaphorical dreams. Unless we can talk to cats in the future, we’ll never really know. Until then, enjoy contemplating what your furry friend might be dreaming about during all those cat naps.